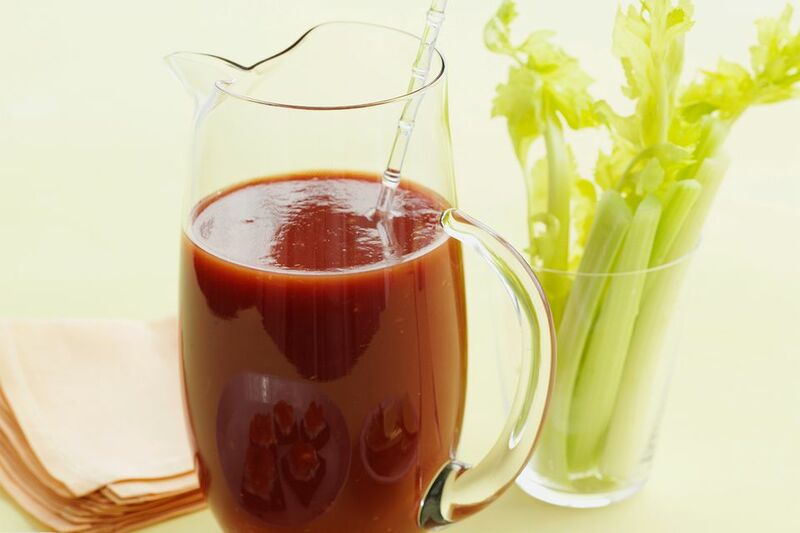 Melodie Buell of Organic Nation Spirits was kind enough to share this recipe for a spicy Bloody Mary mix with a couple of twists that make it perfect for the Super Bowl. You will find that this mix is far more complex than the standard recipe. The combination of sauces and spices makes a great base which only needs a spirit and tomato juice added when you are ready for a drink. Combine the above ingredients to make about 15 ounces of mix, which can be stored in the refrigerator. To make a Bloody Mary, add Organic Nation Vodka or Organic Nation Gin and tomato juice to taste. Top it off with a rich dark beer. Whole Garlic Cloves, sliced in half. Pickled Asparagus, Mushrooms and Green Beans. If you are feeling bold and have some extra pork ribs in the house, go ahead and through one in there. Top with a med-dark beer (I suggest a nutbrown). Recipe Courtesy: Melodie Buell of Organic Nation Spirits. Special thanks to Chris Churilla.